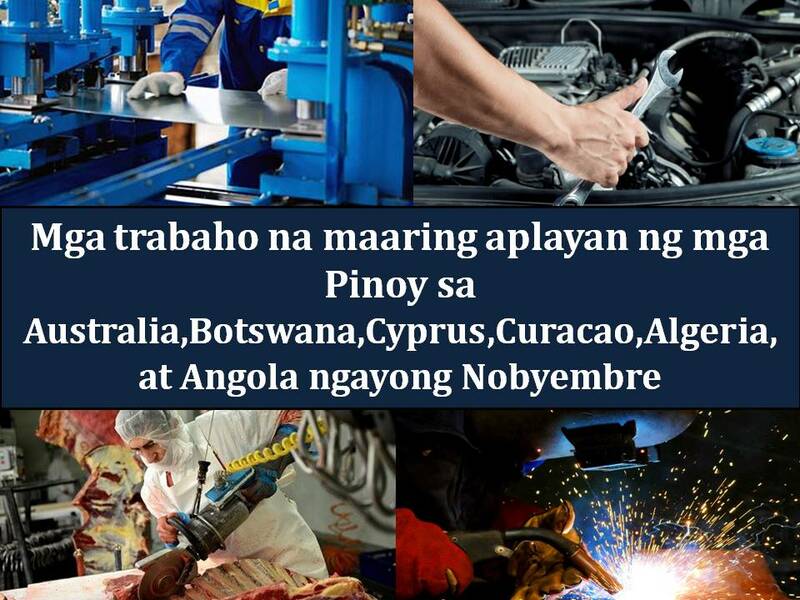 Australia, Botswana, Cyprus, Curacao, Algeria and Angola are looking for Pinoy workers. Here is the list of job opportunities from POEA website bound for six countries this November. We are not affiliated to any of these agencies. We encourage job applicants to report to POEA any violation on the recruitment process.